Linen products are a necessity for the hotel and hospitality industry’s SURVIVAL. Hotels and resorts need to make sure they maintain an adequate par level of bathroom and bedroom linens and terry. This three par level rule will provide a smooth rotation of your linen. It will also assure that your linen in not being over washed and dried. Remember cotton is a live fiber and over processing will lead to it’s early death and will increase your needs for a larger purchasing budget. Also, by setting a par level too low, a business runs a high risk of suffering through a linen shortage. Linen shortages will leave your guests dissatisfied and will create an increase in expenses. Having your housekeeping staff work twice as hard to provide guests with clean white linens will escalate payroll and laundry expenses. 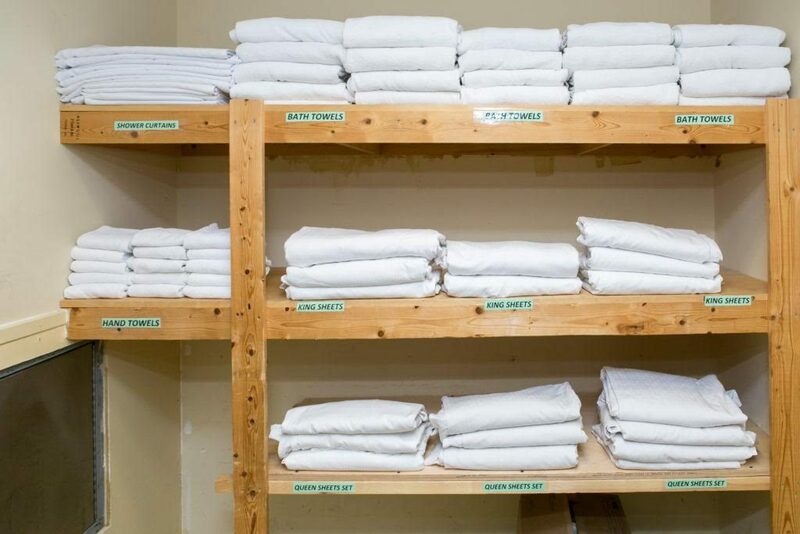 At Riteway Linens, we take care of everything for our customers, including linen management. Riteway’s customer care team will work one on one with your housekeeping department to track inventory and provide updated inventory reports as needed. We then incorporate this data into spreadsheets and linen life charts. These charts that help us properly predict how much linen our customers will need. It also helps us predict if linen is leaving the property or if it is being over processed by your laundry which leads to earlier retirement. Riteway Linen can ultimately take the guesswork out of inventory management ensuring the most effective way to manage your linen. Riteway Linens Services and Sales can provide you with quality linen for your hotel along with impeccable customer management and service. Call us today at 772-336- 0175 to speak with one of our textile specialists. You may also visit www.ritewaylinens.com for our customer profile and virtual tour.